As we head to the end of 2017, interior designers and decor enthusiasts are beginning to make predictions about the coming year. At Jacqueline Rae, we do our research and we’ve come to a few conclusions of our own! We think 2018 has some polished, sophisticated ideas in store for us. In 2018 you can expect a solid variety of warm and earthy tones – a big shift from the monochromatic palette of previous seasons. Wrap your head around toasty terracotta, olive and navy for everything from walls and flooring to tapestry and furniture. We’re loving popular accent colours like emerald green and watermelon red. And the blush pink craze of 2016? It’s here to stay. Move over, white and grey kitchens – make way for the darkness. We’re noticing that all-black kitchens are trending as well as open shelving instead of concealed cupboards. While marble is still the preferred stone, there is a definite move to more inconspicuous surfaces; instead of Carrera, we’re noting more green and brown. Thick countertop edges have been replaced with sharper, more contemporary ones and believe it or not, black sinks! 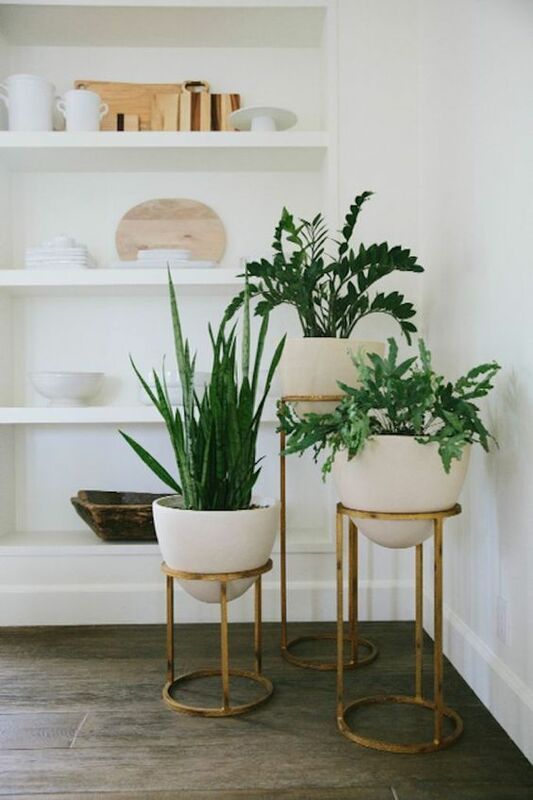 If this sounds too shady for you, we suggest accenting with plenty of indoor plants and terrariums. 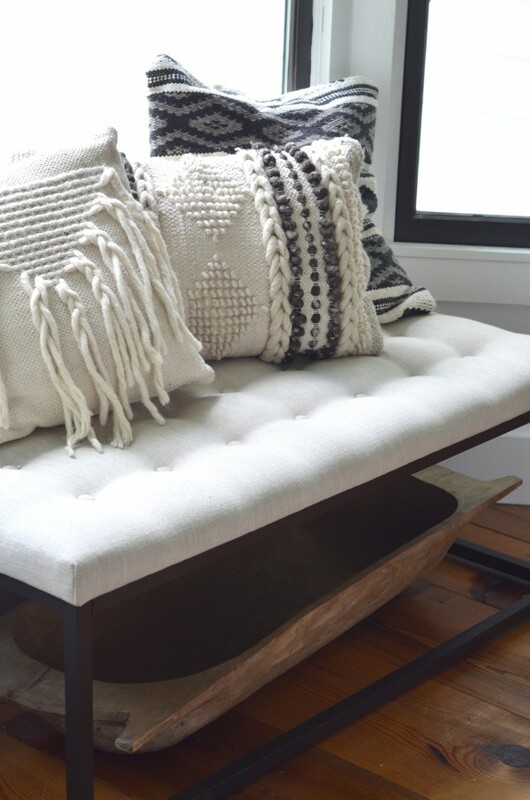 Woven fabrics and textures can bring great depth and coziness to a room, especially as we hunker down for winter. Warm up your room with linens, plants on wicker stands, retro macramé wall hangings and basket pendant lights. Off-set these rougher textures with soft suede, patterned pillows and smooth side tables. In a mid-century modern motif, furniture design is looking low, curved and plumper than recent seasons. As far as fabric goes – it’s all about luxurious velvets. We’re still seeing marble and brass tables, but keep your eyes out for long fringing skirts, playing to the 1950s glamour look. As mentioned, bring on the velvet! This sophisticated fabric is lavish and wintry, and when combined with rough natural textures, it makes for a cozy, dynamic room. 2018 will bring some gorgeous new flair to the home, again with warm colours, dark kitchens, wicker and curved furniture. We predict that it’s time to say “sayonara” to florals, damask, shiny, high gloss finishes and white kitchens! What do you think of these trend predictions moving into 2018? Will you be incorporating some or all into your interiors?